Itâ€™s that time of year again with an abundance of fresh produce. What to do with all the bounty? How about doing some home canning? Once you get the hang of it, it is actually quite simple. Here are a few tips on how to go about getting started. First, you need to buy the tools of the trade. You will need a canner. Usually a hot water bath canner is sufficient and is not at all expensive. For canning fish or meat, and a number of other items, a pressure cooker canner is required. This is considerably more costly than a hot water bath canner, but it is a one time expense and should last many years. Some of the other items you will need to have on hand include a canning rack (which may or may not come with the canner), lifters, canning jars, lids, rings and a wide mouth canning funnel. Another useful item is a good recipe book. You can buy one, borrow one from a friend, or chose one at your local library. You can perform an online search and come up with many fabulous canning recipes. First time canners often opt for making dill pickles or bread and butter pickles. The options are endless. Salsas are a favorite among many as well as relishes and chutneys. Some prefer to make jams and jellies. 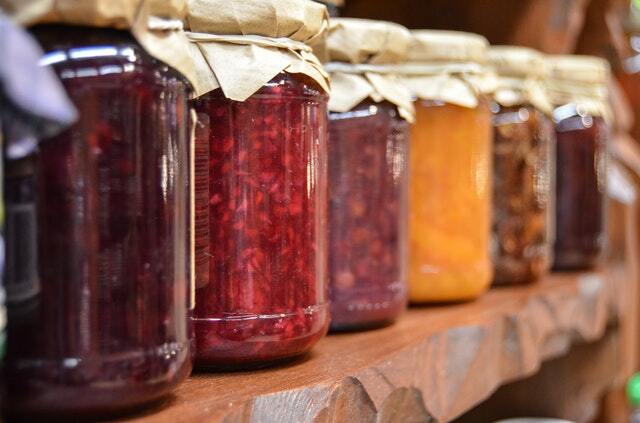 Once you taste the difference between store bought preserves and home made preserves, you will be hooked. They are phenomenal. It is very satisfying and rewarding to stock your food pantry with your own pickles and such. They also make a much appreciated gift. Pickling cucumbers can be purchased from local farmersâ€™ markets when their supply is plentiful. The same goes for buying fresh dill. There is no comparison between the grocery store variety of dill and the fresh market produce. You will want to have several onions on hand as well as cloves of garlic. Mustard seed, celery seed, mixed pickling spice, pickling salt, white vinegar, apple cider vinegar, dill seed and turmeric are also essentials that you will need. If you plan to can jams and jellies, you will need to buy some fruit pectin. The best way to learn how to can is to have someone experienced with canning show you the ropes, but if this is not possible, follow the directions on the recipe you are making. It is quite easy and need not be intimidating. After you have prepared and canned your creations, it is vital that you check your jars for a good seal. You can do this by lightly pressing on the middle of the lid after the jars have cooled down. If the seal does not take, you will need to either run it through the hot water bath again or keep it in your refrigerator to use within a few weeks. You will be able to enjoy the fruits of your labor (pardon the pun) all year round. Why not try your hand at canning? You will experience a sense of accomplishment as you experiment. Make it an adventure and have fun!